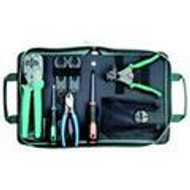 Hand tools are typically made of non-sparking materials such as bronze, brass or ceramic. 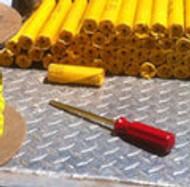 Please beaware that some hand tools are not made of non-sparking materials so they should not be used around explosives. 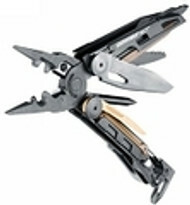 Cap Crimpers, Wires Strippers, Knives, Flashlights and Multipliers.